Today, it is very important that we realize that we are on the verge of the fourth technological revolution, which means we are standing at the very beginning of tremendous changes which will affect all aspects of the life of human society as a whole. In our daily lives, we have become accustomed to things and phenomena that were difficult to imagine even 10–15 years ago: we don’t use cameras to take photos, and we don’t worry about how many more photos we can take; we don’t use paper encyclopedias; we don’t hail taxis on the street; we don’t search pharmacies for medication; we don’t go to the bank; we don’t buy airline tickets at a travel agency; we don’t use expensive international roaming; we’re not surprised when a search engine knows our latest interests, or that a video hosting service knows what we want to watch today. If in the last century, electricity was the impulse for the growth of production; now new stories of entrepreneurial takeoffs will be written based on their use of artificial intelligence — from smart homes to smart shoes that change their configuration based on the weather and the user’s well-being. Keep in mind that technological changes will occur faster and faster. Faster than we think. It took 13 years for there to be 50 million television users; the first 50 million Facebook users appeared after 3.5 years, and in the case of Angry Birds, 50 million happened in just 35 days. Changes in our everyday life are the ultimate manifestations of profound changes at both industrial and national levels. Two hundred years ago, 80% of humanity worked in agriculture. Then, mechanization and labour automation allowed us to reduce the number of people employed in agricultural production by an order of magnitude, and new areas of employment for people appeared in cities. So now, as we undergo a new technological revolution, more than 70% of today’s professions will be automated and replaced by machines. The first to go, the way I see it, will be those professions associated with low-skilled and monotonous work. This applies to both blue and white collar jobs. Secondly, a certain group of hostages will suffer from the new level of transparency and speed of economic processes associated with the introduction of blockchain technology: these hostages are today’s middlemen, traders, agents, realtors and brokers. Professions associated with highly intellectual and creative work will replace those that have disappeared. There will be more value in being an inventor, an investor, a shareholder, or a dreamer. There are already tech companies emerging that help to invest in the dreams of the new generation of Elon Musks. For example, the team of the startup Dreamr is creating a platform for launching crowdfunding campaigns around individual or collective ideas with the ability to use a decentralized market for services, where users will monetize their skills. The company has also created The Change Fund through which it plans to distribute $1 billion to its users and partners for the transformation of their dreams into reality. How about instead of building products that people find addicting and entertaining for the benefit of advertisers, we build products designed to bring people value and enrich their lives? In inter-country competition, cheap labor will cease to be a competitive advantage. This will be the result of a significant reduction in the cost of technology with the use of robotics and 3D printing. The value of resource rent will drop dramatically, while the value of technological rent will increase significantly. Countries will be divided into technological and non-technological, and it is their levels of technological development that will determine their weight in the global economy. Virtually all leading economists and analysts are predicting very modest forecasts for global economic growth over the next few years. At the same time, sectors associated with the new technological revolution will grow by tens and hundreds of percent per year. The market for artificial intelligence technologies, according to various estimates, will grow by 20 times over the next eight years. The first industries that will undergo revolutionary changes in this regard are healthcare and the financial sector. 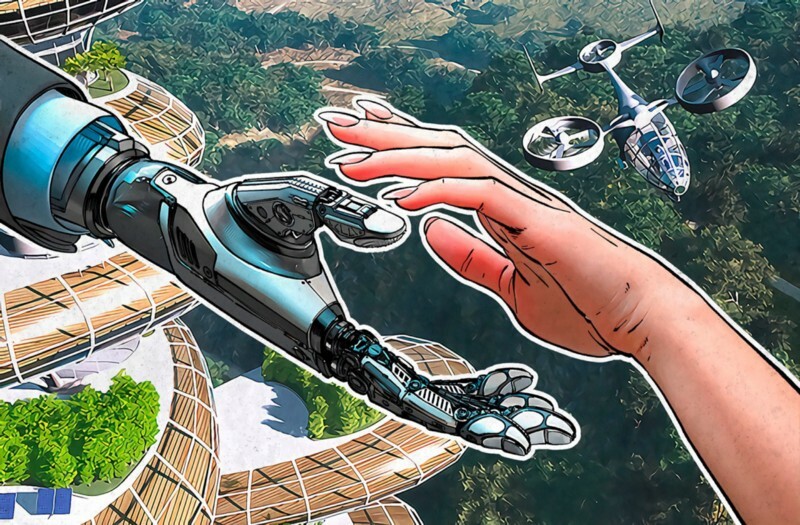 Massive changes will also occur in the production of sensors, microchips, virtual and augmented reality technologies, personalized production technologies, such as robotics and 3D printing, cloud technologies, the production of drones, medical and household robots, and driverless cars. What will be valuable in the new world, and what will lose its value? It seems that older, eternal values will lag significantly behind newer ones. Oil, gold, gas, wood, furs, shells, bags of salt — all this will, of course, continue to cost money. But the share of the new digital economy will only grow, as will its share in global stock market capitalization. Therefore, I would recommend significantly reducing the proportion of shells and sacks of salt in your financial portfolio and increasing the volume of shares in companies focused on the new economy. At the same time, it must be remembered that, at turning points like these, stars not only light up, but some also go out. Try to get rid of stocks in businesses that are declining. There was a time when Xerox and Kodak were doing quite well with regard to their revenues, profits, and future prospects. The coming years will be rich not only in stocks hitting new highs, but also lows. What companies are worthy of investors’ attention? The truth is that today is the best time to start creating something. There have never been more opportunities, lower barriers, a higher ratio of benefits and risk, and a higher return on invested effort than today. Right now, at this very minute. It is this moment that people in the future will look at and sigh: “If only I was there now!” This is the best time in the history of mankind to start something new. You are not too late! Everything is really just beginning. And it will be interesting.